One of the great challenges of living in this intentionally small boarding community is the mythical “St. Mark’s Bubble”– an all-consuming sense of “dailyness” that insulates residents from the wider world. Most often, I hear folks cite the bubble when explaining away their own limited grasp of world events or geopolitical trends (and occasionally, the latest plot twists from Breaking Bad or Downton Abbey). Modern learning communities like St. Mark’s are wired for connection to issues of global consequence. As St. Mark’s works to become an even more globally-minded community, we’ll all need to move beyond the bubble and find avenues for dislocation from the pressing and immediate cares of community life, be they either physical or virtual explorations of the world beyond our walls. Both efforts require time and space to think, and, on the part of the explorer, a willingness to face the discomfort that often attends dislocation. 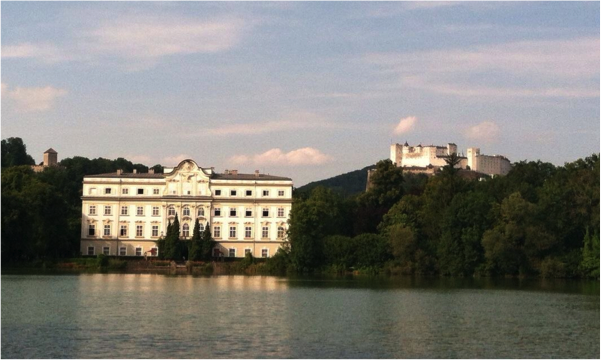 Last July, in the company of three other St. Mark’s faculty members, I navigated some of my own sense of dislocation as a Fellow at the Salzburg Global Seminar in Salzburg, Austria. St. Mark’s is fortunate for the Salzburg partnership, and for the participation of a total of seven faculty Fellows in Salzburg’s “Global Citizenship Program” (GCP) over the past three summers. 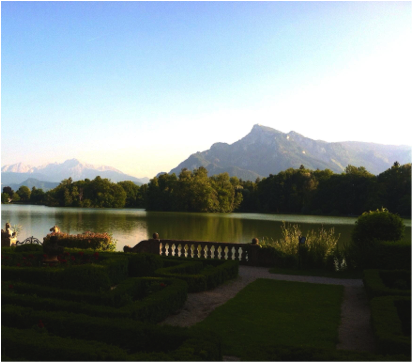 Full disclosure: the setting for the conference, Schloss Leopoldskron — an original location for the filming of the “Sound of Music” — is impossibly beautiful; while the days were long and the work challenging, spending the week in an 18th century palace is no hardship. One feels one’s fortune rather acutely while discussing weighty global issues beside a shimmering lake, over a table groaning with rich Austrian cuisine, or in a comfortable nook of an oak paneled library. Simply having the time and space to muse with colleagues about ways to build global awareness and competencies into our curriculum seemed a luxury – at times an unsettling one, given the global hardship and injustice with which we were wrangling. In the ensuing months, this dissonance has remained prominent in my thinking. How do independent schools generally, and St. Mark’s specifically, build a model of global education that transcends the cloistered, academic study of issues, and translates directly to engagement and action? As a teacher of St. Mark’s Third Form Seminar, I have worked with students to see global systems through an interdisciplinary lens, tackling meaningful questions like, “How does climate change fuel the spread of infectious disease?” and “How do we gain a richer sense of a country’s economic well-being by analyzing of the health of its population?” Our overarching objective in TFS is to offer an academic study of modern globalization as a way of building foundational academic and history thinking skills. Participation in the Salzburg Global Seminar offered me the opportunity to reinvestigate my approach to the issues we tackle in TFS and to further refine the ways my course promotes the acquisition of global competencies — skills like perspective taking, empathy, and intercultural communication. Offering more than just a foundation in global studies, education for global competence builds in students the, “Capacity and disposition to understand and act on matters of global significance” (Boix Mansilla and Jackson 97). I’d like to argue for one of the more compelling threads of thought to emerge at the conference — the value of a focus on global competencies as a pathway to genuine interdisciplinary study, and a necessary preparation for students to engage meaningfully with the world that awaits them beyond our walls. Why does global education matter? Let’s begin with the very first session of the Salzburg experience and a look at the numbers. Our students aspire to join the slim 7% of the global population that holds a college degree and are counted among the 30% who have access to the Internet. In a world of traditional North American and European hegemony, these regions account for just 16% of the global population, an imbalance that is shifting over time as populous BRIC (Brazil, Russia, India, China) nations rise to greater economic power. While, according to the 2013 Credit Suisse World Wealth Report, the overall sum of global wealth has never been higher, inequality is a persistent issue. “The bottom half of the global population own less than 1 percent of total wealth. In sharp contrast, the richest 10 percent hold 86 percent of the world’s wealth, and the top 1 percent alone account for 46 percent of global assets” (Kersley and O’Sullivan). The numbers are far more stark for the most vulnerable members of the world population. 48% of the global population lives on less than $2 US per day. 35% do not have access to improved sanitation, and 13% lack access to clean water. 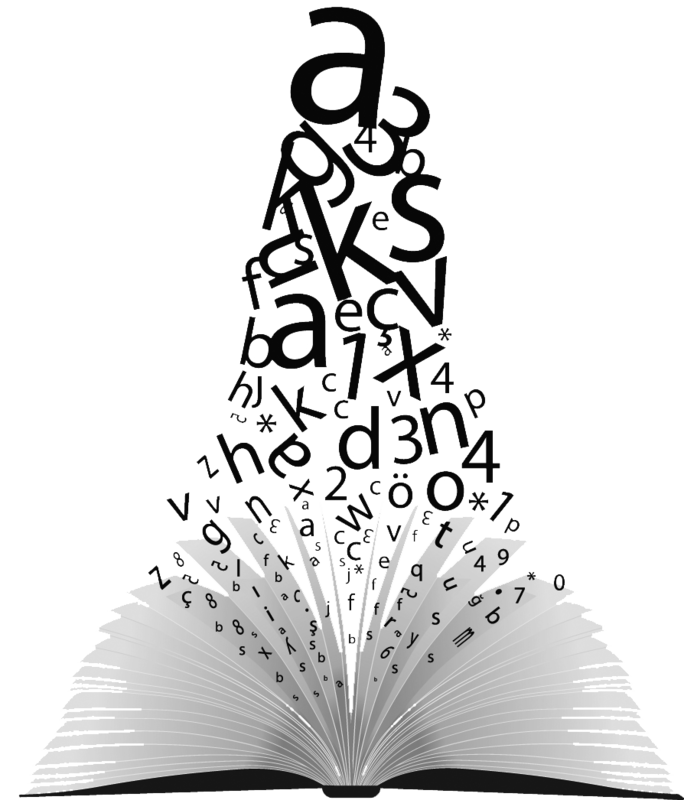 12% of males and 21% of females over age 15 cannot read and write. Where will we find the resources to meet the needs of global populations eager to elevate their quality of life? Will we be able to do so sustainably? Can we do so equitably? Which disruptions are lurking in the near and far future as a result of climate change, political instability, and technological development? St. Mark’s graduates in years to come will have the opportunity to tackle these issues, but also will not be able to ignore them, so we need to cultivate in students both the wisdom and the habits of mind to approach global problems intelligently. In particular, a functional appreciation of global trends must begin with a challenge to one’s worldview as derived from one’s immediate personal circumstances. That’s a difficult leap for adolescents who have grown up in a world of relative comfort and abundance, but the story is much different in other corners of the globe. The instability and disruption so often seen as the shape of the far future is already a pervasive global reality. Tomorrow’s global citizens will have to learn adaptation and flexibility, both in their ways of life, and in their ways of thinking. The Salzburg Seminar GCP is an experience in changing worldviews. In sessions on drone warfare and mass media culture, Salzburg faculty offered the American participants a look into perceptions of America from abroad. This conversation was deepened by the emerging revelations that German intelligence officials collaborated with the US National Security Agency to collect data on German citizens, a deep affront to German and Austrian notions of an individual’s right to privacy (and it is worth noting, many Americans’ conceptions of the same). Sessions on sustainable development brought home the challenges and the opportunities of meeting human needs within the limits of available global resources. Yet the urge to critical, subjective thought didn’t come solely from international voices. We were also fortunate for a visit from U.S. Supreme Court Justice Anthony Kennedy, who argued for the responsibility of the individual citizen in a democracy, empowered by a deep connection with classical systems of thought. What became clear in session after session is that there is a palpable need for more meaningful work towards global competence in American schools. Howard Gardner, a Professor at the Harvard Graduate School of Education and Senior Director of Harvard’s Project Zero, concurs, “If we are to have a globe worth inhabiting, we must attend unflinchingly to the kinds of human beings that will inhabit it, and the ways in which they deal with one another under often trying circumstances” (Gardner xii). While St. Mark’s was the only American high school represented at the conference (the other participants were largely collegiate faculty and administrators) the discussions around the room encouraged me to consider the role that secondary school courses might play in preparing students for the work they will do in college and the challenges they must face as adults. Globally competent individuals are aware, curious, and interested in learning about the world and how it works. They can use the big ideas, tools, methods, and languages that are central to any discipline (mathematics, literature, history, science, and the arts) to engage the pressing issues of our time. They deploy and develop this expertise as they investigate such issues, recognizing multiple perspectives, communicating their views effectively, and taking action to improve conditions (xiii). “Investigate the world beyond their immediate environment, framing significant problems and conducting well-crafted and age-appropriate research. Take action to improve conditions, viewing themselves as players in the world and participating reflectively” (11). Crucially, this formulation makes meaningful education for global citizenship possible in any classroom, not simply those that traditionally consider a discipline-specific international perspective, like foreign languages or world history. This model is readily applicable to any classroom undertaking research into real-world problems, developing empathy and perspective taking, or cultivating effective communication skills. Encouraging an engagement with the world beyond abstract cultural appreciation or even tourism, a focus on global competence prepares students to participate confidently and sensitively in an increasingly complex landscape of cultures and ideas. Back in Southborough, I have applied some of the wisdom gained in Salzburg to my work in Third Form Seminar. In particular, I am taking a closer look at the design of instruction and assessments in my classes, considering the ways in which they cultivate global competencies. Students engage in ongoing reading and research on issues of consequence in an assigned global region, drawing their understanding of current events from regionally produced newspapers like Le Monde, Die Welt and China Daily. This year, one of my colleagues on the TFS team has further developed this assignment to deepen the component of communication and sharing of these issues of consequence with peers. By writing and presenting about their region, students help their peers to understand why these issues matter, and how they connect to the central themes and essential questions of the course. In coordination with upperclassmen mentors in the Biology 30 class, TFS students researched the intersection of globalization and Infectious Disease, and shared their findings with the community in a poster presentation. By examining the impacts of global trade, climate change, and social change on the spread and treatment of disease, students gained an interdisciplinary perspective on the issues in play. Building on this newfound expertise, the TFS students deepened their understanding of their research by communicating their discoveries to their peers, teachers and advisors in the poster session. As I plan the culminating assessment for our technology unit, I am examining ways for the students to take action on an issue of consequence through the use of social media, or otherwise contribute to our campus dialogue about the use of technology in a research capacity. Preparation for competition in the global workplace, one of the main objectives cited by global education proponents like Tony Wagner, is an admirable goal, but it cannot be a singular focus, lest we lose sight of the rich, liberal arts tradition that has served St. Mark’s graduates so well for so long. In the estimation of philosopher John Dewey, “Education must first be human, and only after that professional … A curriculum which acknowledges the social responsibilities of education must present situations where problems are relevant to the problems of living together, and where observation and information are calculated to develop social insight and interest” (154). A curriculum focused around developing global competencies is, at its core, training in a common humanity. Students first understand their place in the world, and then how to work with others in the service of a common good. These understandings flow from sustained work on relevant problems, but also through the cultivation of empathy. How do we come to appreciate the texture of another human life — the joys, the concerns, the traditions, the complexities, and the animating purpose? How do we honor these other human lives in the decisions that we make — not simply the major policy deliberations of governments and corporations, but even the daily purchasing choices of individuals? How do we use education as a transformative tool for those who may not have the privilege of power or resources? If knowledge is power, offered Salzburg GCP faculty member and Villanova University Professor of History Maghan Keita, “Knowledge on a global scale is power optimized.” Global citizenship as a project, not simply a goal written somewhere on a piece of paper, involves the cultivation of students ready to engage the world with both wisdom and compassion. To Keita, the possibility of global interdisciplinary study lies with a focus on foundational competencies of critical thinking, problem solving, and collaboration, as the essential tools of “responsible global citizens.” These competencies are the cornerstones of work already happening each day in every St. Mark’s classroom — from Studio Art to American Literature to Algebra II. By taking up any of the array of challenges and perspectives articulated above, and building on the skills that we seek in globally competent students, we create a pathway to truly transformational interdisciplinary work, and prepare our charges to engage with the sorts of thinking that they will be asked to do in college and the hurly-burly of the “real world.” When students schooled in this program walk to the stage to receive their diplomas at the conclusion of their St. Mark’s careers, they are empowered to act as responsible citizens in the world. To my mind, there is no more admirable goal for a school as an agent of a truly democratic society. I’m eager to continue the work with my colleagues, and excited to see St. Mark’s take a leadership role in the conversation about global interdisciplinary learning at the high school level. One of the recent outgrowths of the St. Mark’s and Salzburg partnership is the St. Mark’s Global Citizenship Institute, an innovative collaboration that aims to offer the Salzburg experience to students and faculty from public, private and international secondary schools. The Institute will run from July 6-12, 2014 on the St. Mark’s campus, and promises to be a rewarding experience for all involved. For anyone looking to gain a flavor of the Salzburg experience a bit closer to home, the GCI will be a wonderful place to start. Nat Waters, a member of the St. Mark’s faculty since 2009, is the Associate Dean of Academics, and a teacher in the History and Social Sciences and English Departments. Nat’s classroom work includes the development of interdisciplinary approaches to teaching and learning in Third Form Seminar and the evening Sustainability Seminar. Boix Mansilla, Veronica, and Anthony Jackson. Educating for Global Competence: Preparing Our Youth to Engage the World. The Asia Society, 2011. Web. 7 Jan. 2014. <http://asiasociety.org/files/book-globalcompetence.pdf&gt;. Dewey, John. Democracy and Education: An Introduction to the Philosophy of Education. New York: The Macmillan Company, 1916. EPUB file. Erickson, Fritz J., and John A. Vonk, eds. “Detailed Statistics.” 100 People: A World Portrait. 100 People Foundation, n.d. Web. 7 Jan. 2014. <http://www.100people.org/statistics_detailed_statistics.php&gt;. 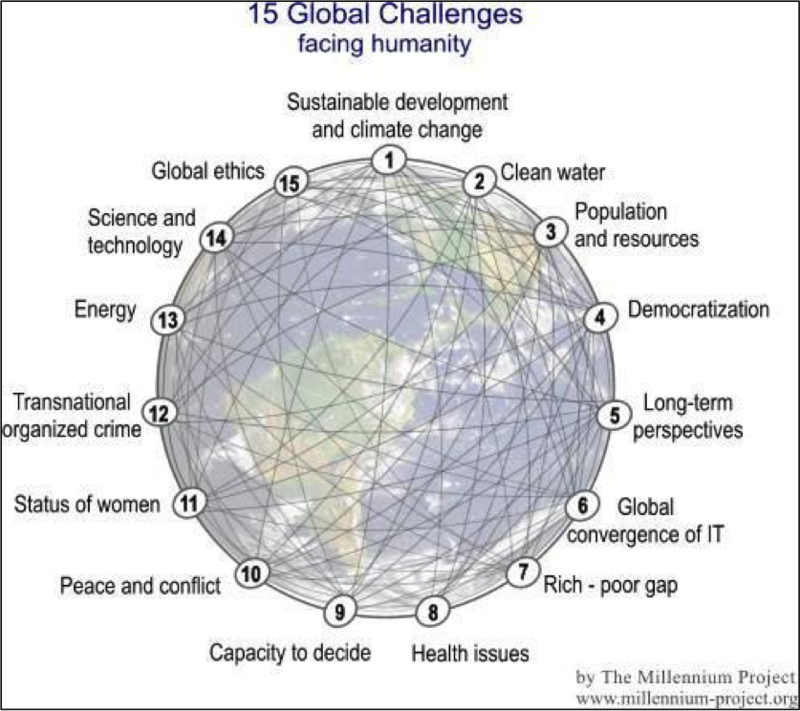 “15 Global Challenges Facing Humanity.” Global Challenges for Humanity. The Millennium Project, 2010. Web. 7 Jan. 2014. <http://www.millennium-project.org/millennium/challenges.html&gt;. Gardner, Howard. Preface. Educating for Global Competence: Preparing our Youth to Engage the World. By Veronica Boix Mansilla and Anthony Jackson. x-xii. The Asia Society, 2011. Web. 7 Jan. 2014. <http://asiasociety.org/files/book-globalcompetence.pdf&gt;. Keita, Maghan. “Pathways to Global Citizenship: Engaging the ‘Global’ and the ‘Interdisciplinary. '” Salzburg Global Seminar: Global Citizenship Program 59. Salzburg, Austria. 18 July 2013. Lecture. Kersley, Richard, and Michael O’Sullivan. “Global Wealth Reaches New All-Time High.” Credit Suisse Research Institute. Credit Suisse, 10 Sept. 2013. Web. 7 Jan. 2014. <https://www.credit-suisse.com/us/en/news-and-expertise/research/credit-suisse-research-institute/news-and-videos.article.html/article/pwp/news-and-expertise/2013/10/en/global-wealth-reaches-new-all-time-high.html&gt;. By smleo in 2013 - 14 Academic Year, Volume 7 on January 14, 2014 .